Lawrence Mayor Steve Collier interviews Gov. Eric Holcomb on stage about his successes while being the state’s governor. 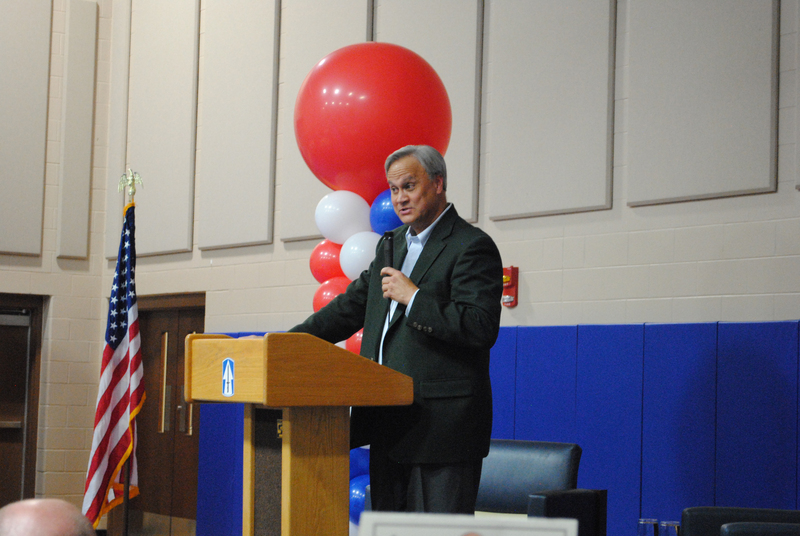 Lawrence Township republicans heard an on-stage interview between Lawrence Mayor Steve Collier and Gov. Eric Holcomb at the Lawrence Township Republican Party’s Lincoln Day Dinner Feb. 1. 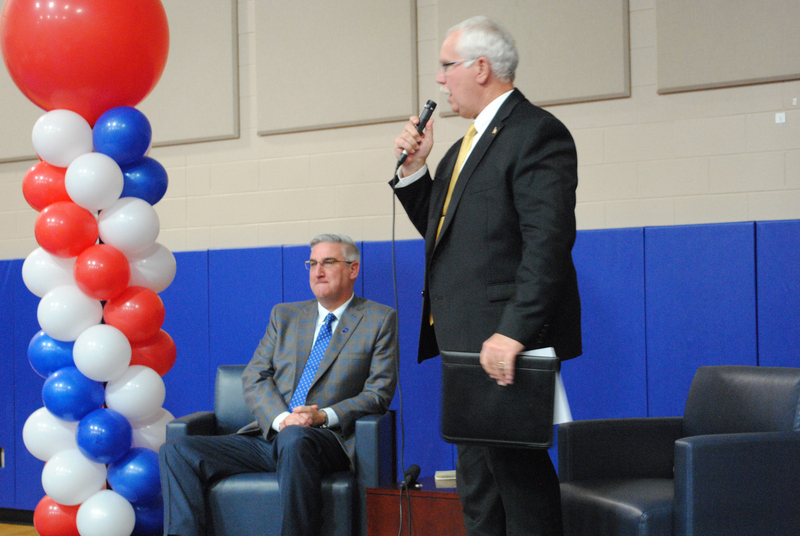 Collier asked Holcomb several questions about his success and potential future plans when it comes to governing the state. Some of the questions Collier asked Holcomb, including asking what his vision is for the state. Collier also asked Holcomb what his favorite accomplishment as governor has been. Collier also addressed the importance of reaching across the aisle and working soundly with both democrats and republicans. Holcomb agreed. Collier ended the interview by noting Holcomb has more than $4 million in campaign funds. Collier asked Holcomb if he wanted to make an announcement that night. Holcomb laughed but denied to announce if he planned to run for governor again or not. “I think by the turnout tonight of the people in this room that we fully expect that you’ll be around for at least the next five years, if not longer than that,” Collier said.